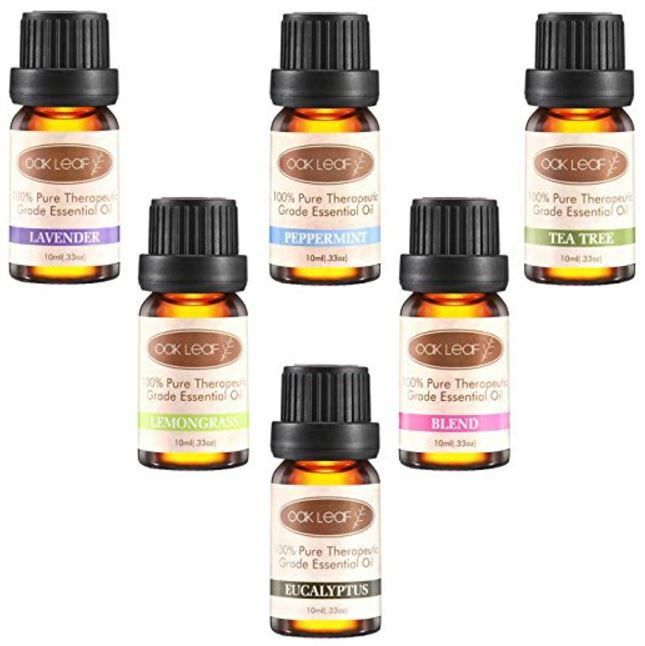 Hurry over to get this Set of 6 Essential Oils, Oak Leaf 100% Pure Therapeutic Grade Aromatherapy Scented Oil (Lavender, Peppermint, Tea Tree, Lemongrass, Eucalyptus and Blend) for just $8.99 with the coupon code: G2DYYPHV at checkout. What a HOT price! I tested without subscribe and save and the same price was available for both. -SET OF 6 ESSENTIAL OILS: The package contains the following Therapeutic Essential Oils: Lavender, Peppermint, Tea Tree, Lemongrass, Eucalyptus and blend. Each bottle is 10mL. -ENHANCE PHYSICAL WELLNESS: Essential Oils can help you relieve headaches, heal burns, soothes bug bites, reduce pain and boost immune system. Their benefits go well beyond a pleasant smell. -BOOST MENTAL STRENGTH: To enhance your spiritual practice, dilute and apply empowering essential oils directly to wrists, feet, and behind the ears or diffuse the oils in a quiet place. Purify your home, inspire a positive emotional stage and enhance spiritual awareness. -NATURAL BUG REPELLENT: The smell of Oak Leaf Calming Essential Oil is potent for many types of bugs like mosquitoes, midges and moths. Apply some of your desired oil on the exposed skin to prevent these irritating bites. -HIGHLY VERSATILE: From skin care products to relaxing routines, this Scented Oil can infuse many areas of your life. Aromatherapy, custom massage, body oils, vaporizer, diffusion, spa, home care and cleaning products. Shipping with subscribe and save is free or shipping is free with Amazon Prime or your $25 purchase.